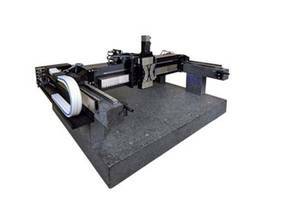 Precision Piezo Nanopositioner serves high-speed applications. 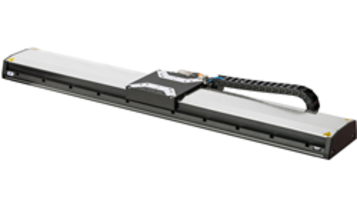 Operated with E-727 digital servo piezo controller, P-616 NanoCubeÂ® XYZ piezo scanner is based onÂ parallel-kinematic design with one lightweight moving platform for all 3 axes. Capacitive sensors for sub-nanameter positioning precision, ceramic-insulated actuators for extended life, and flexures for friction-free motion are standard. 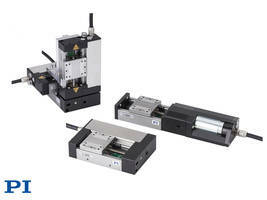 With 100 Âµm travel range, this 3-Axis Piezo Motion Stage suits fast fiber alignment and microscopy applications. Higher scanning speed, ceramic-insulated acutators for long life, flexures for friction-free motion, and capactive sensors for sub-nm precise positioning make this new piezo nanopositioner ideal for fast fiber alignment and microscopy applications. 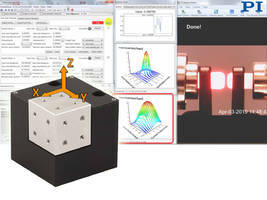 Auburn, MA – The new P-616 NanoCube® XYZ piezo scanner is a redesign of PI’s successful P-611, 3D positioning stage. 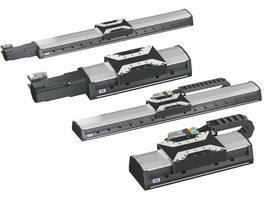 Now based on a parallel-kinematic design, with only one lightweight moving platform for all 3 axes, higher precision and dynamics are available in a more compact package. 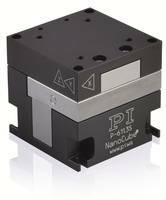 As the newest miniature multi-axis stage from PI, the P-616 NanoCube is also the smallest and lightest system with capacitive feedback delivering 100µm travel range. The positioner is operated with PI’s new E-727 digital servo piezo controller. Compared to conventional analog piezo controllers, it offers the advantage of higher linearity, faster settling and scanning speed, and easy access to all motion parameters. 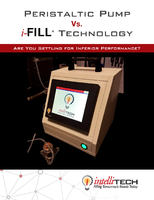 An all-inclusive software package is included: drivers for LabVIEW, dynamic libraries for Windows and Linux, MATLAB. Interfaces consist of USB, SPI, RS-232, and analog. Supported functions include Wave generator, data recorder, auto zero, and trigger I/O. The XYZ stage is driven by ceramic-encapsulated, preloaded PICMA® piezo actuators that provide better performance and reliability than conventionally insulated piezo actuators. 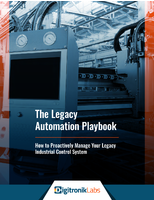 Actuators, guidance, and sensors are maintenance-free, not subject to wear, and offer extraordinary lifetime and cost-effectiveness. In reliability tests carried out by NASA/JPL for the Mars Mission, the actuators survived 100 billion cycles without failures. Fields of applications include photonics alignment, microscopy, 3D imaging, screening, surface analysis, and wafer inspection. In addition to a large variety of standard piezo mechanic stages, PI can quickly modify existing product designs or provide a fully customized OEM part to fit the exact requirements of the application. Vertical Travel Positioner features rack and pinion mechanism. Pipe/Duct Accessory facilitates overhead installation. Geo-Pointing Module automates sensor aiming with GPS.